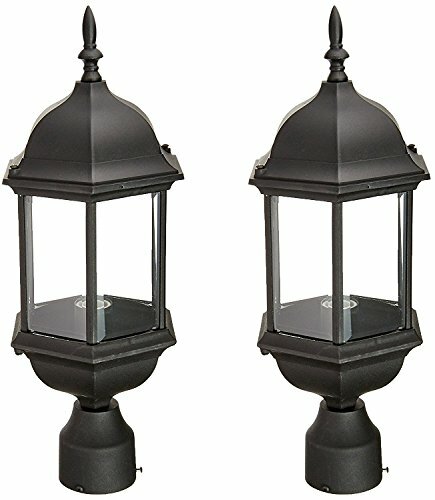 Designers Fountain 2976-BK Devonshire Outdoor Post Lanterns, 20 inch, Black - 2 Pack | Fountain City Art Ctr. Devonshire wall lanterns are six sided with rounded clear beveled glass panels. These fixtures are built with CAST Aluminum and certified for wet locations to look great and last for years to come.